This engineering work is believed to be the sole remaining example of Torres Quevedo’s design for an aerial ferry. 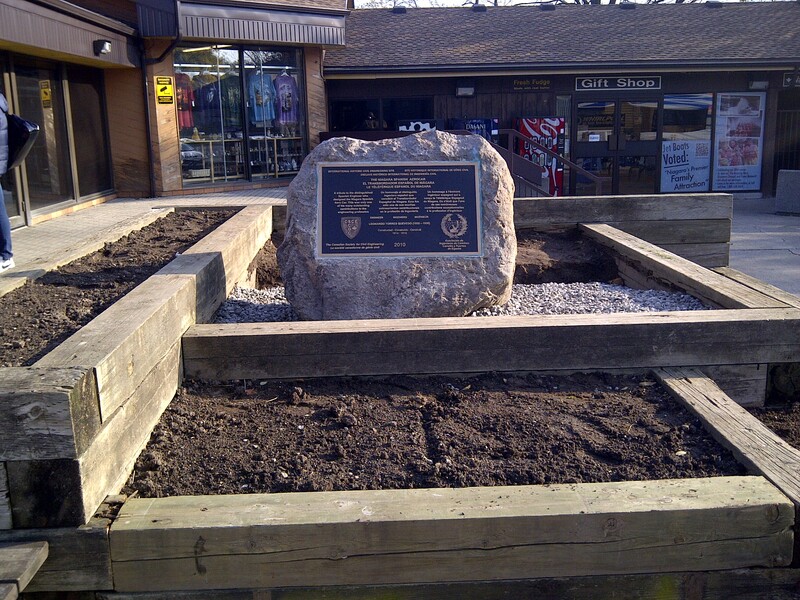 It is of International importance in that although constructed and operated in Canada it was a Spanish project from beginning to end: devised by a Spaniard and constructed by a Spanish company with Spanish capital. It was first operated in tests on 15 February 1916 and was officially inaugurated on 8 August 1916. It opened to the public the following day and the cableway, with small modifications, continues to run to this day, with no accidents of a serious nature. A further factor of historic significance is that it is the only work in Canada of one of the most outstanding and prolific thinkers and innovators in the history of engineering. In addition to Civil Engineering design, Torres Quevedo initiated several significant developments in dirigible design, in radio control and in analytical calculating machines. 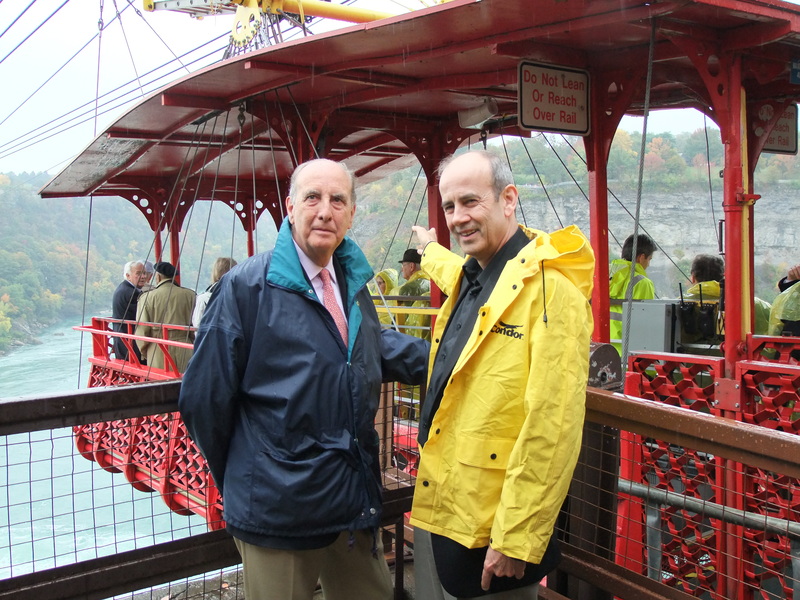 The fact that he designed the Niagara Aero Car, not only presents the opportunity to recognize a significant historic engineering work, it also provides an excellent opportunity to commemorate the achievements of an outstanding international engineering pioneer. 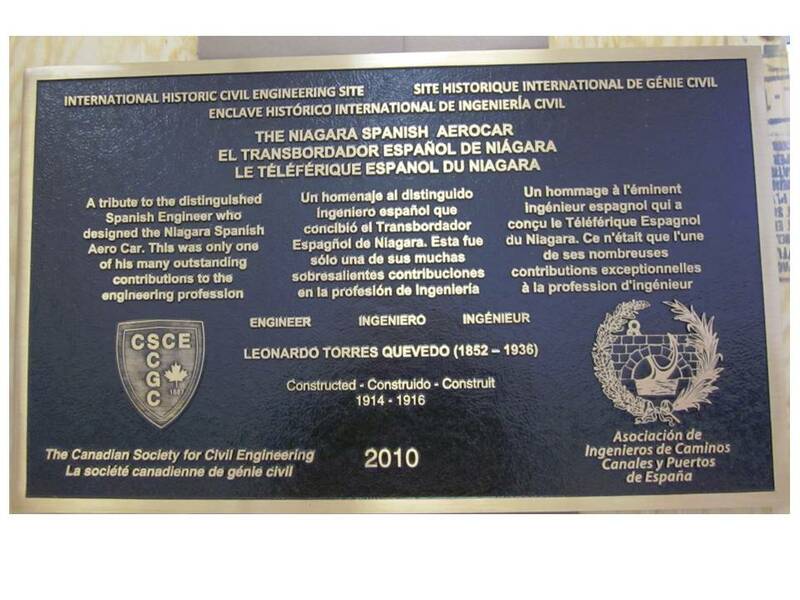 In 1991, the Niagara Parks Commission received the Leonardo Torres Quevedo Award – the first such award presented outside of Spain – on the 75th anniversary of the Aero Car. The Niagara Parks Commission received the award due to its commitment in preserving Torres Quevedo’s standard tram design.